The survey platform Typeform is now more than halfway along with its microservice transition, although the platform is now defined by APIs. A merit of Jason Harmon, who has been with the startup in Barcelona for over three years. 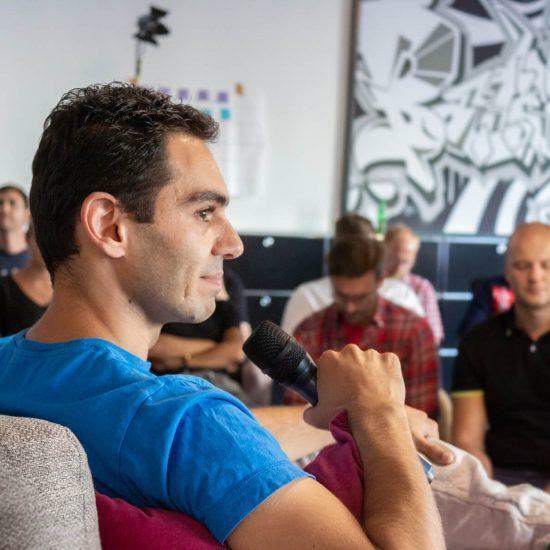 We sat down for a hang-out with our speaker of the Digitale Leute Summit about the transition to a microservice architecture and how he grew into the role of the CTO. „Well, I have this paper-thin Macbook now“ says Jason Harmon, grinning, while holding the brand-new device in front of the webcam. With this, the CTO of the form-building tool Typeform answers our question how much he still works on the product himself. „The reality of a CTO is different. It’s much more about business and product development. My life now consists of Word and PowerPoint documents,“ says Jason. And although we hear a touch of melancholy in his voice, we realize: The native Texan is fully absorbed in his new role in the Barcelona based startup. And that’s not just because Jason feels at home in the catalan capital, which reminds him of his native Austin: „Both cities are pretty laid-back. 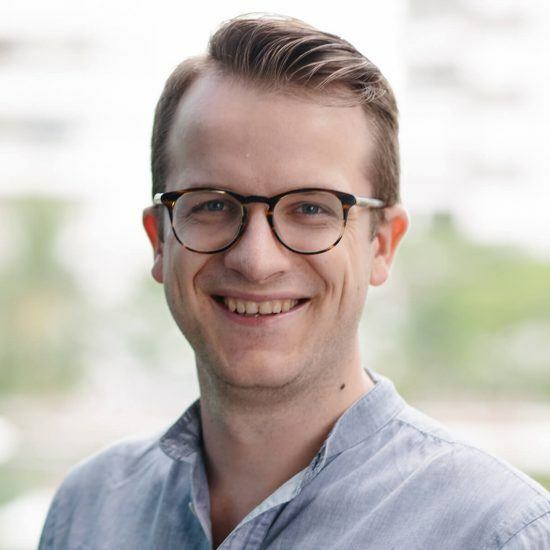 It was an easy transition for me.“ Jason has been around for the past three years at Typeform, after a friend made him aware of the upcoming startup. The platform, founded by Robert Muñoz and David Okuniev, had just completed its 15 million Euro Series A funding in the fall of 2015. The investment enabled the platform, where users can quickly and easily create all kinds of forms, to further develop the business as well as the technology, including the step to go to a microservice infrastructure. And for that, Typeform needed an experienced lead developer, who knew APIs. That’s how Jason came into play. Learn more about platform technology at our Digitale Leute Summit! Jason had just completed a mammoth project with Paypal. As Head of API Design he was instrumental in implementing „Microservices for basically everything at Paypal“. „I think our team is the only one, that has worked with all of Paypal’s development teams,“ he says, not without pride. But then the opportunity with Typeform occurred with a very different kind of challenge: From the settled fintech company back to an emerging startup in one of the most vibrant cities in Europe, to a task that was „right in my wheelhouse,“ as Jason recalls. For half a year Jason worked from the States to handle his personal affairs. Then he and his family packed their life in two suitcases each, took the dogs and hopped on a plane to Barcelona. Meanwhile, as a CTO, he also takes care of developing Typeform into a true platform company. An important role plays the new type-form product „Connect„, which was officially launched just a few weeks ago. This should make it even easier to integrate Typeform into the countless other web services such as Hubspot, Mailchimp, Trello or Slack. That’s what’s needed to turn Typeform into a real platform company, Jason says. „People love our form-building experience. But forms are not a standalone product. What matters most for our business is, that our users can store, retrieve and process the data in a way they see fit.“ Up to now, this usually required third-party providers such as Zapier or Automate.io. „Where it used to take ten steps to link Typeform to another platform, there are now three. In addition, users immediately see how they can connect typeform with other tools. And we see which connections are particularly popular with users“, explains Jason. The other platform tools also benefit from better visibility via the new platform. In this open infrastructure, Jason sees the future of platform economics. „Attempts to build a platform that links everything to everything have been around for 20 years. In fact, it’s very hard to build something that really works while providing a good user experience.“ This is especially true at a time when web platforms are increasingly mapping more specific use cases. Typeform is just one example of the multitude of highly specialized applications that we see on the internet nowadays. No question: The platform industry has exploded in recent years. The number of web tools, that aim to make our lives easier and more convenient, has become almost inextricable. And each has its own, supposedly unique value proposition. It’s these business developments that Jason observes with growing interest: „Ten years ago, it was all about how to build clean, open APIs. I think we are now at a point where the industry has figured out how to do that. And now I look more broadly at how APIs connect the whole ecosystem of platforms. As far as that goes, we’ve come to an important point at Typeform and I’d like to help telling this business story. I have really dedicated myself to this project in a way I haven’t before“ says Jason. Sounds like the flashing new Macbook Typeform’s CTO now owns will serve him well after all. Jason is going to speak about his role at Typeform and how to manage technology and engineering with an emerging platform company in great detail at our Digitale Leute Summit on November, 13th in Cologne.